A dirty sidewalk can be very irritating if it is located outside of your home. In some states, you can be fined if the sidewalk outside of your house is not correctly cared for and this is something that you will want to avoid. 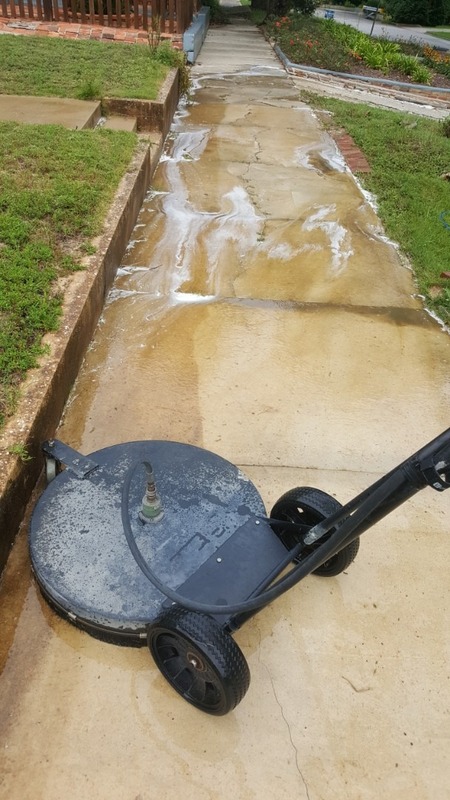 To avoid this, you can look at pressure washing the sidewalk, but you need to ensure that you have the right pressure washer for the job. When you look at a pressure washer, you need to consider the rating that it has. This is the amount of pressure that is exerted by the spray when it hits the surface of the sidewalk. Pressure will be expressed in a pounds per square inch rating or psi. To properly clean a sidewalk, you will need to have a pressure washer with a rating of 3000 psi at least. It is important to note that there are times when you will need to have a more powerful pressure washer. However, the 3000 psi will generally be enough to tackle the most common issues with the sidewalk. If you do have a more powerful pressure washer, you should start at this level and work up if it does not work. The flow rate of the pressure washer will also need to be considered. This is the amount of water that flows through the pipe of the washer at any point. The unit for this rate will be gallons per minute or gpm and this is something that people often overlook. If you have a pressure washer with a 10,000 psi rating and 2 gpm, your sidewalk is going to remain dirty. This is due to the fact that you are not getting enough water through the hose to allow the pressure to make a difference. Ideally, you will want a pressure washer that offers 5 to 6 gpm. This will ensure that the water flows at a speed which cleans the sidewalk. There are some parts of the sidewalk that will be dirtier than other parts. This is why you need to consider getting a rotary nozzle as it can increase and decrease the cleaning speed of the pressure washer. While it is possible to use the pressure washer without this nozzle, it will make the cleaning process faster and easier. You will not have to adjust the pressure washer to adjust the cleaning speed. The nozzle will be able to create a fan or circular pattern when you use the washer. This allows you to change the speed that the water leaves the nozzle and hits the sidewalk to ensure that you are cleaning at the right pressure. It is a well-known fact that hot water will clean better than cold water. The problem is that a hot water pressure washer will generally be more expensive than a cold water one. If you do not want to pay more for the washer, you can still use cold water but it can take longer to clean with it.